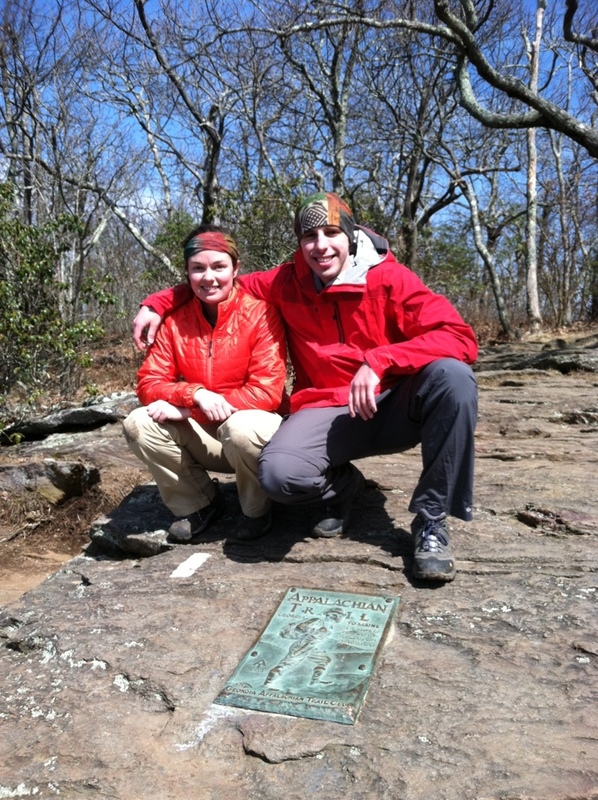 Flashback to Day 1 on top of Springer Mountain and with the first white blaze. All the best to you guys!! Love your blog and updates, thanks for taking the time! you guys look different here — like not really like yourselves. cool buffs, btdubs. We are trail peeps now yo. Hi, Glad things are going well. I am at the High School subbing and read the posts to the class. They were very happy to hear the details. We had 12 inches of snow and would like some of that warm weather. Take care. Thanks Pam! Glad that the students are enjoying reading about our hike so far. We’ll keep the posts coming.